Here Luke tells us not only of the compassion Jesus shows for others amid his own suffering but also of his trust at the moment of death. Fr Adrian Graffy reflects. 23: 33 When they reached the place called The Skull, they crucified him there and the two criminals also, one on the right, the other on the left. 34 Jesus said, ‘Father, forgive them; they do not know what they are doing.’ Then they cast lots to share out his clothing. 44 It was now about the sixth hour and, with the sun eclipsed, a darkness came over the whole land until the ninth hour. 45 The veil of the Temple was torn right down the middle; 46 and when Jesus had cried out in a loud voice, he said, ‘Father, into your hands I commit my spirit.’ With these words he breathed his last. The gospel reading given above, which includes the words of Jesus on the cross and the account of his death, is only part of Luke’s story of the passion. Even amid suffering Jesus shows great compassion to others. He prays for forgiveness for his executioners, who ‘do not know what they are doing’. He promises paradise to the criminal who seeks forgiveness. Jesus’ final words in Luke are taken from Psalm 31, ‘Into your hands I commit my spirit.’ The evangelist tells us of the trust of Jesus at the moment of death. Jesus knows that the Father will not abandon him, but raise him up on the third day. As the story of Jesus’ death concludes, the hope of resurrection remains. What are the striking features of the story of the passion as told by Luke? Take time this week to read the complete story of the passion and death of Christ. We pray for the willingness to die with Christ in order to rise with him to new life. Let us join with the Church throughout the world to live Holy Week to the full. Rev Dr Adrian Graffy is a member of the Vatican Commission that takes a lead in Bible scholarship, interpretation and promotion in the Catholic Church. Rev Dr Graffy received his doctorate in Sacred Scripture from the Pontifical Biblical Institute in Rome in 1983. 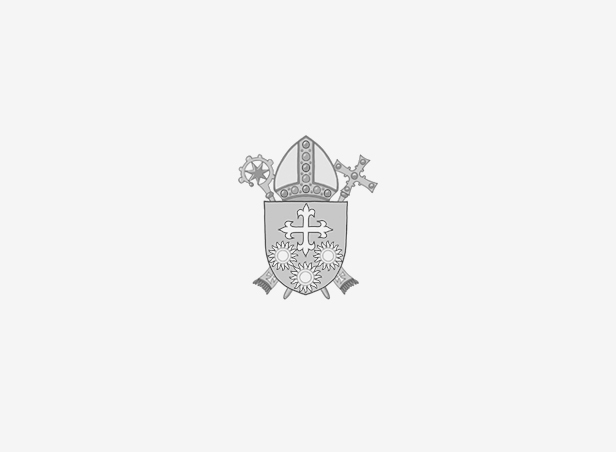 He taught for over 20 years in St John’s Seminary in Wonersh, and is Chair of the National Scripture Working Group, which is an instrument of the Department for Evangelisation and Catechesis of the Bishops’ Conference of England and Wales. 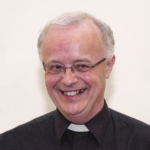 Fr Graffy is a past director of Brentwood’s Commission for Evangelisation and Formation and parish priest of Christ the Eternal High Priest in Gidea Park, Essex. Among his publications are the Gospel of Mark and the Letter to the Romans (Alive Publishing).